Musing On Beauty: More Generation Q Pictures! The next model for this collection is the 39 years old Mairi, from Edimburgh. Isn't she gorgeous? 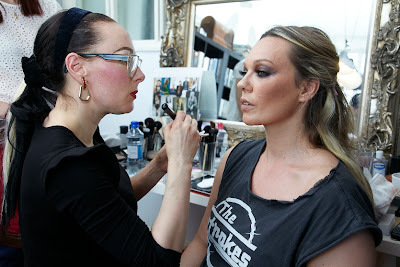 "I was fascinated with make-up at a very early age, I started copying looks on myself, icons like Brigitte Bardot, Edie Sedgewick, Marilyn Monroe and Debbie Harry (one of my favourites!) and I loved experimenting with colours and always wearing my “cats eyes”. I love finding new products and experimenting with them." She really looks gorgeous, and I love her lips!! !